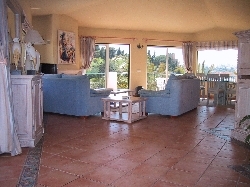 Welcome to our selection of holiday rentals in Portimao. Portimao is popular holiday resort with tourists who love its sandy beaches and clear waters. There are many tourist hot spots around including quality restaurants with a wide range of bars with their vibrant nightlife and several places for entertainment. There are also numerous shops in the town where you can find almost anything, especially in the shopping centre. Because of the earthquake in 1755, there are very few historic buildings to be seen, which makes Portimao seem significantly different when compared to other locations in Algarve with their traditional architecture. Its still an interesting place to explore though. Portimao lies on the central Algarve's southern coastline, which makes it an ideal location to travel to other areas in the region. 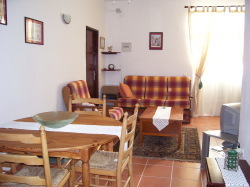 Looking for self catering holiday accommodation in Portimao? Then below is a selection of holiday villas in Portimao and holiday apartments in Portimao that can be rented direct from their owners. You can either click on each listing for further details or you can use our search engine on the left if you are looking for something in particular.